An elementary text about a girl's daily routine followed by three reading comprehension tasks. The above printable, downloadable handout is intended for high school students and elementary school students at Beginner (pre-A1), Elementary (A1) and Pre-intermediate (A2) level. 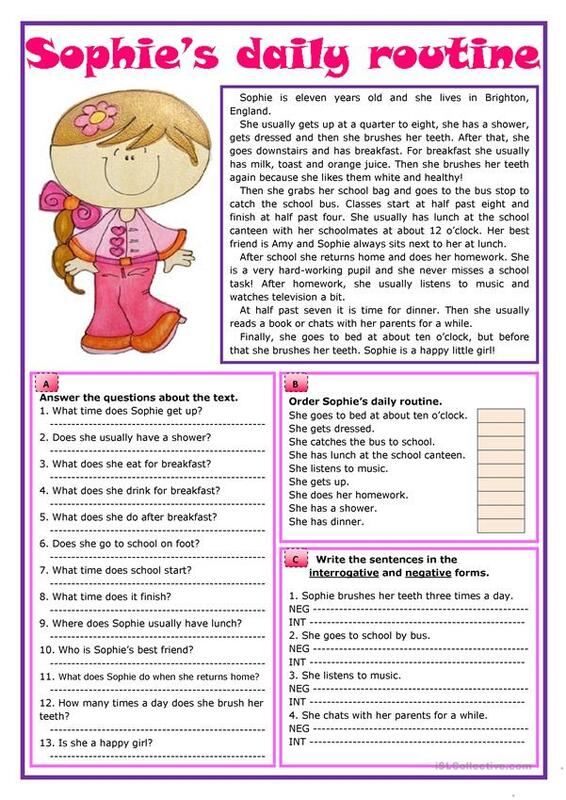 It is great for consolidating Present simple tense in English, and is a valuable material for enhancing your class' Reading and Writing skills. It focuses on the theme of Daily routines.